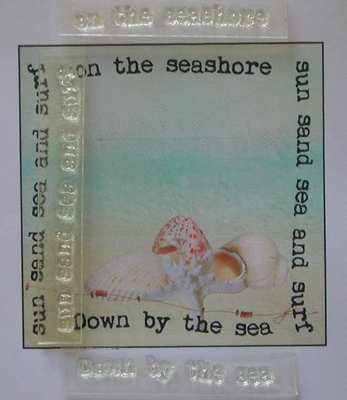 A set of three summer beach text stamps, 'sun sand sea and surf', 'on the seashore', 'Down by the sea'. Ideal for using with summery die cuts and images. Largest is 7.2 cm x .7cm. 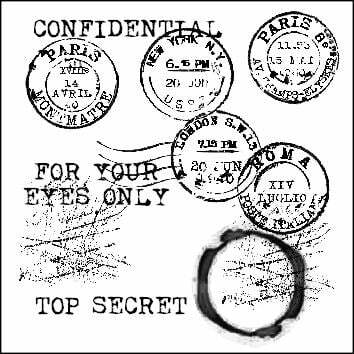 The example has used the stamps to make a text frame on an 8cm x 8cm topper.